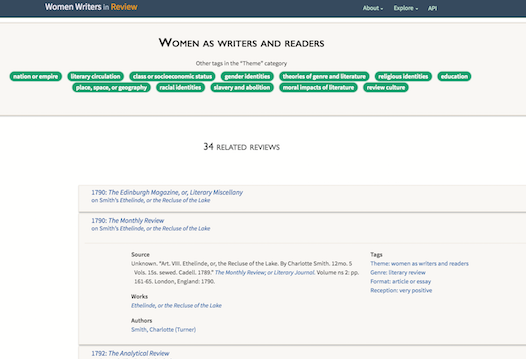 The Women Writers Project is a long-term research project devoted to early modern women's writing and electronic text encoding. Our goal is to bring texts by pre-Victorian women writers out of the archive and make them accessible to a wide audience of teachers, students, scholars, and the general reader. We support research on women's writing, text encoding, and the role of electronic texts in teaching and scholarship. Women Writers in Review is here!